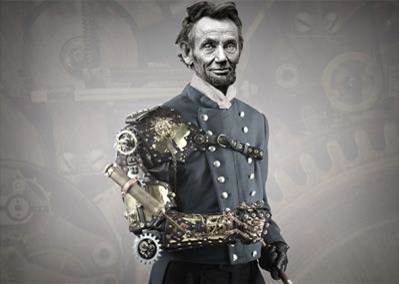 Not only was Abraham Lincoln a vampire hunter but he was also a steampunk. If you didn’t know either of these cold hard facts, you’ve really got to brush up on your history because they are both 100% true, Wikipedia can back me up on that. After blowing your mind with these facts you might be wondering exactly what steampunk is and I would love to enlighten you because it is extremely fascinating and some of the people who have tried steampunk fashion might surprise you, but we’ll get to those people in a little. Steampunk is a type of science fiction that involves some sort of steam-powered machinery in a setting that is inspir ed by the industrialized west during the 19th century. The setting is usually set in an alternate history in the British Victorian era or American Wild West, in a post-apocalyptic future where steam power has recovered its mainstream usage. The influence of the steampunk culture is found in the books of H.G Wells and Jules Verne and modern novelists like Phillip Pullman, Scott Westerfeld, Stephen Hunt and so on. 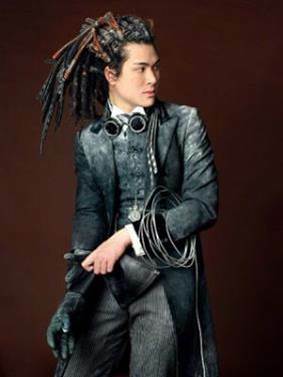 If you think you have never heard of steampunk or think it could never thrive in mainstream fashion, you would be wrong because there is so much steampunk influence that has happened recently by some very big names. First off, for their fall/winter 2012 collection, Prada did an entire menswear collection based off this industrial Victorian style. 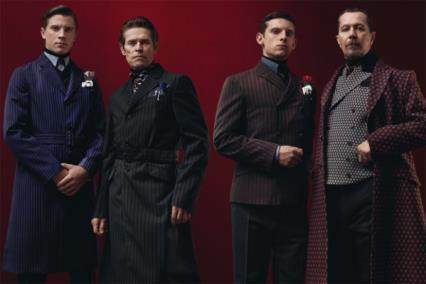 A few of the people that walked in that fashion show and modeled in the campaign are some pretty well known celebrities including, Garret Hedlund, Gary Oldman, Willem Dafoe and Jamie Bell. Not only has Prada featured steampunk on their runway but also, America’s Next Top Model in cycle 19 did a photo-shoot surrounding this peculiar fashi on, with steam-powered machinery like a train featured in the background. 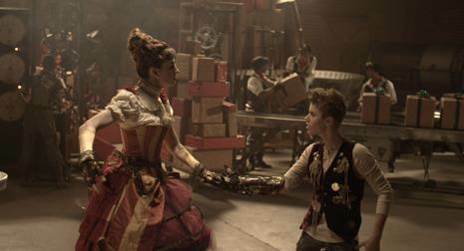 To me the most shocking person I stumbled upon that has taken part in steampunk fashion is Justin Bieber. I know that he has been out of the spotlight for a while but during his prime you couldn’t turn a corner without hearing J. Bieb’s name or music. But did you ever watch his “Santa Claus is Coming to Town” music video? It might all be coming back to you now if you have because that whole video features steampunk fashion and machinery. Yeah, Justin Bieber, the most mainstream of us all has taken part in this not so ordinary fashion. Now, maybe after learning that your once loved Biebs likes steampunk, and you’re super interested and want to take part as well, I have some good news for you, because there are plenty of steampunk meet-ups happening very closely to us. There is one in the Dallas/Fort Worth area that meets up every month and even Texas Tech has their own steampunk society! You may recall the famous rapper “Snoop Dogg” changing his name to “Snoop Lion”, but did you ever know the reason? 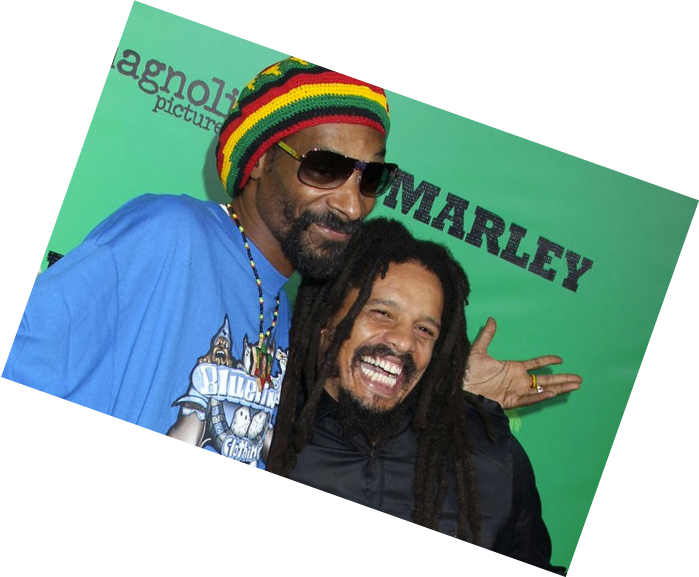 Behind the lifestyle and name change of Snoop was a subculture known as Rastafarianism, or Rastas as they prefer to be called. It is a lifestyle which is very spiritual and built on African pride. They are a very religious group, though the deity to whom they serve is not limited. They accept both Christian and Jewish beliefs, and believe in one true diet that they call “Jah”. They believe that Jah has a son who he sent to earth in the form of Ras Tafari, the Ethiopian emperor for whom the group is named, reining from 1930-1974. They believe that Zion, in reference to Ethiopia, is the origin of mankind, and their mission is to return to Zion; literally, spiritually, and emotionally. Rastas became widely known by the late 20th century, and the fame of one member in particular brought much awareness and attention to the group through reggae music, which reflects many of Rastas values, believes, and lifestyle choices. Can anyone guess who this artist may be? You guessed it. Bob Marley. Marley was always shown in his red yellow and green colors, which reflect the Rasta flag, and always rocking his dreadlocks, which are a direct reflection of the Rasta belief in wholesome natural living absent of vanity. To this day Marley’s son is still very involved in the cause and his father is said to have been one of the most influential Rastas in history. Now, when you think Bob Marley, what else do you think of? 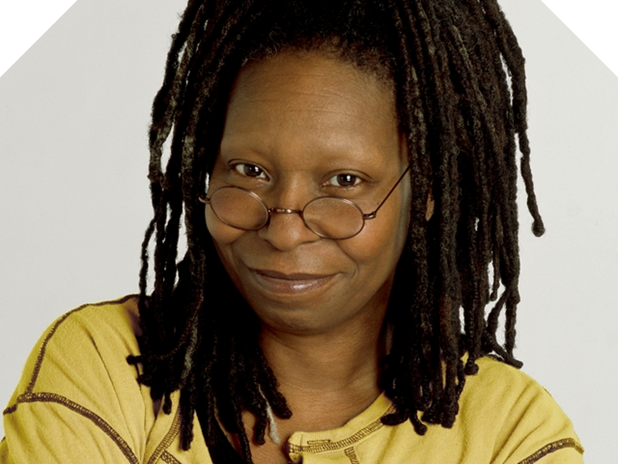 Perhaps the colors, or the dreadlocks, but undoubtedly you probably associate the use of marijuana with him as well. 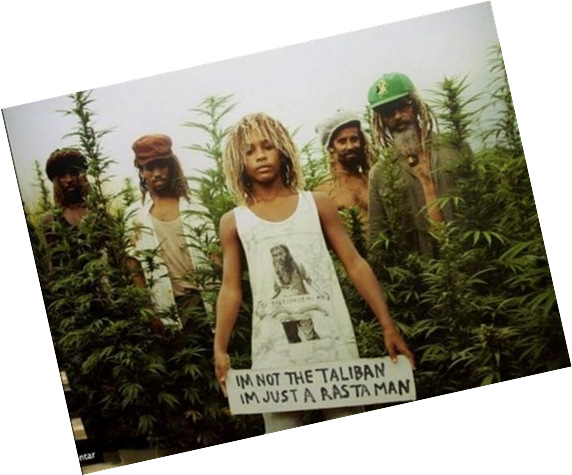 This actually is not a stereotype, but rather a part of the Rasta culture. The Rastas use marijuana as a spiritual sacrament, which they believe cleanses and purifies the mind and body and brings them closer to Jah. Another visible symbol of Rastas is the flag they choose to represent them, which is derived from the Ethiopian flag at the time of Emperor Tafari, and is a symbol derived from the book of Revelation proclaiming the return of the messiah to take the form of a lion. Following in these biblical influences, the diet of Rastas is also drawn from scriptural influences. The only eat food that complies with the Old Testament, often abstaining from meat all together, and frequently fasting for spiritual purposes. Rastas are not encouraged to take any mainstream political beliefs, and instead have historically been known to start their own campaigns for peace during violent elections or times of turmoil. They believe that all are created equal in the eyes of Jah, and do not discriminate base on race. Color is not a qualifier for being a Rasta, as they believe all are seen equal by the one whom they serve. Rasta’s style have been adapted by mainstream fashion in the form of adopting dreadlocks and reggae music, associating them with a laid back natural lifestyle. Rappers such as snoop dog have made the look trendier and many youths can be seen in Rasta inspired wardrobe year after year.